The season of broomsticks and pumpkin spice lattes is almost upon us! If you’re thinking about selling your home in the fall, you’re in luck! This time of the year can be a great time to sell your home as long as you take the right steps. 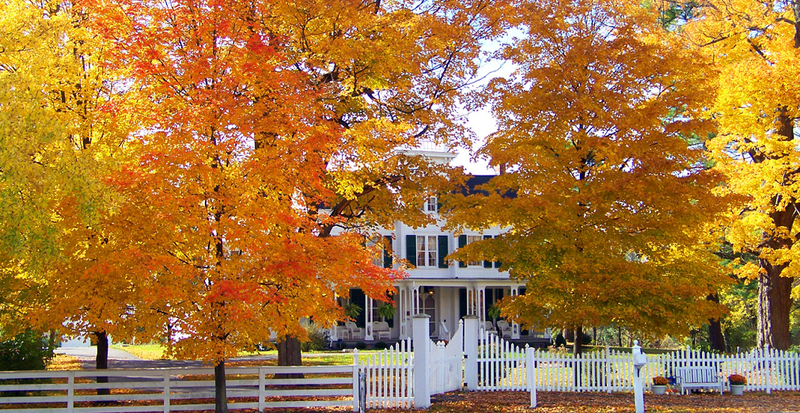 See what tips will help you sell your home in the fall before the last leaf hits the ground. Perhaps the most surefire way to accomplish selling your home in the fall is to start with the right price. Is that easier said than done? Yes. Will it set your home apart from all the others? Absolutely. It’s no secret that there will be less home buyers shopping in the fall than in previous seasons. With that being the case, you need to look at your local real estate market critically and really analyze the buying trends going on near you. This can be done through various home buying sites online, or you can get in touch with your favorite local real estate agent. Either way, it’s imperative that you start your home selling journey with an appropriate listing price. If your home is priced too low, you’ll be leaving money on the table for the sake of a quick sale. If priced too high, your home will likely sit on the market until the new year—this happens because buyers quickly skip over your home and mentally block it from their list of options. Don’t let this happen to you! 2. Time for a Deep Spring Fall Cleaning! 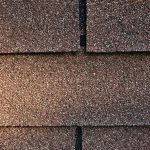 Even if you gave your home a good scrub-down this past spring, there’s a good chances it’s already accumulated some new layers of dirt and grime. Too many home sellers put their homes on the market without getting them in tip-top shape. You have to remember: even though it may look clean to you, it probably doesn’t look clean to the person thinking about moving in. Another important thing to note while selling your home in the fall is that potential buyers will be checking out all parts of your home, including the home’s exterior, front and back yards, and even the general curb appeal. Make sure you inspect and clean all the nooks and crannies inside your home (including the ones you put off, like your HVAC and fireplace! ), and don’t forget to clean out the garage, pick up the leaves in the yard, or even spray off the driveway. Take these steps to create a stunningly beautiful display that home buyers will love! As we progress further towards the winter solstice (day with the shortest amount of daylight and the longest night of the year), your home will have less and less natural light to showcase its features. Many home buyers aren’t able to see homes until after they get off work, so you may only have a few hours before it gets dark. There’s not much you can do about the exterior lighting, but there are a few options for inside the home. Try adding a few light pieces throughout the home—just make sure they don’t look out of place or distract from the room itself. Another option is to replace the lights in your home with brighter, more efficient bulbs. Not only will these bulbs slightly increase the value of your home, but the higher intensity light will also create a look closer to natural light—perfect for illuminating the features and layout of your home! BONUS TIP: Potential buyers who are in a good mood are more likely to make an offer on your home! Play to the senses by baking a fall treat like pumpkin bars or pecan cookies before a showing. Not only will the potential buyers love the tasty snack, but the nice baking aromas will also cover any unwanted smells and lighten the buyers’ moods! 4. Get Out (Some of) Your Fall Decorations! One great benefit you’ll have when selling your home in the fall is the opportunity to utilize fall decorations! That being said, beware: it’s super easy to go over-the-top with seasonal and holiday decorations. You absolutely don’t want your home to look like the Addams Family Mansion. Whatever decorations you decide to incorporate into your home’s appearance, be sure to keep moderation in mind. Place a few pumpkins on the front porch next to some dried cornstalks for a timeless fall look, or add warm-colored flowers that compliment the turning trees. Even the addition of fall-related trinkets and ornaments can be OK—just be careful you don’t overdo it. Keep in mind that decorations aren’t limited to placeable items. Other features of your home, such as the fireplace or sun room, can be used to further create the cozy atmosphere that many people associate with the season. Just remember that subtlety is key! As we mentioned before, one of the realities of selling your home in the fall is that your buyer pool is going to be much smaller than it would’ve been in the spring or summer seasons. With this being the case, it’s imperative that you use all the marketing avenues available to help sell your home. Take advantage of websites where you can post your home for free. Use social media to share your home with friends and family—and encourage them to share it with their own friends and family. There are countless ways you can advertise your home, through both free and paid mediums. If you feel like you aren’t sure where else to advertise, get in contact with a real estate agent. Even if you don’t want to list your home with an agent, they may be able to tell you what steps you should take to get your home sold faster. Listing your home with an agent may also be in your favor. There’s a lot of money to be paid in commission, but a good agent should be able to help you recoup that invested money and get your home sold quickly. 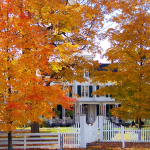 Are you thinking about selling your home in the fall? What strategies are you using to attract buyers? Share your thoughts in the comments below!